A veteran zoologist says Netflix’s “Our Planet” is lying about its viral scene of walruses falling off a cliff. “Our Planet” blames climate change for walruses falling to their deaths, but it may have actually been caused by polar bears. Experts were skeptical about other claims made in the Netflix series, which was produced in partnership with the World Wildlife Fund. The Netflix documentary series “Our Planet” is using chilling footage of walruses falling off a cliff to mislead viewers in the name of climate activism, a Canadian zoologist claimed. “Our Planet,” narrated by famed naturalist and BBC broadcaster David Attenborough, has a message: Climate change is endangering the planet. But it’s a message that comes at the expense of the facts, according to Susan Crockford, a zoologist and adjunct professor at the University of Victoria. Crockford argues the Netflix documentary’s iconic scene of walruses falling to their deaths is actually the same incident recorded in Siberia in October 2017. Polar bears were behind those plummeting walruses, not global warming as “Our Planet” told viewers. “The lie being told by Attenborough and the film crew is that 200-300 walruses fell during the time they were filming, while in fact they filmed only a few: polar bears were responsible for the majority of the carcasses shown on the beach below the cliff,” Crockford wrote on her personal blog Sunday. 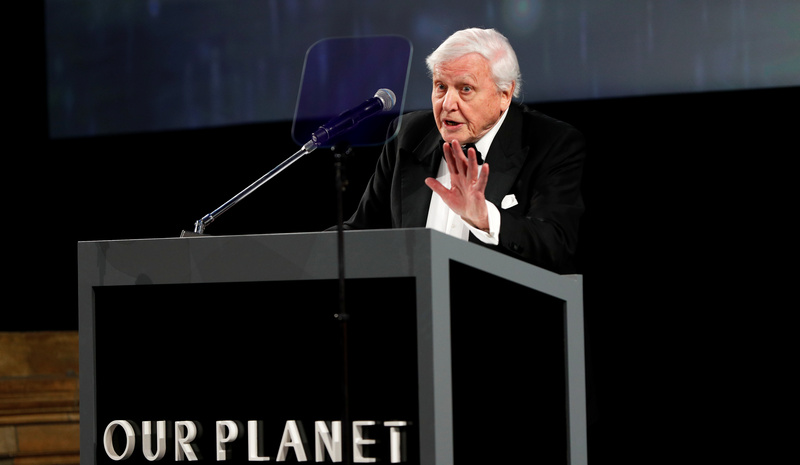 British naturalist David Attenborough gives a speech during the global premiere of Netflix’s “Our Planet” at the Natural History Museum in London, Britain April 4, 2019. REUTERS/John Sibley. “Our Planet” was produced in conjunction with the World Wildlife Fund (WWF), a prominent environmental group. 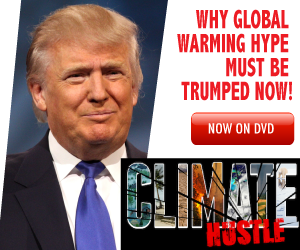 Each episode highlights an important ecosystem they see as threatened by man-made climate change. The “Frozen World” episode’s walrus haul-out scene went viral online. WWF used the scene to make walruses the “new symbol of climate change” — apparently, replacing the iconic polar bear. WWF did not respond to The Daily Caller News Foundation’s request for comment by press time. The U.K. Telegraph reported that in bonus footage from the “Our Planet” episode, “many polar bears were seen prowling the tops of the cliffs,” but those polar bears were not seen in actual episode. “This is, of course, in addition to the bigger lie that lack of sea ice is to blame for walrus herds being onshore in the first place,” Crockford wrote. The “Our Planet” team pushed back. The crew said the walruses weren’t being attacked by polar bears, but instead walked off the cliffs on their own. Director Sophie Lanfear said the walruses fell from the cliffs once the herd began to leave. She blamed the incident on climate change. Wildlife experts, however, remained skeptical that climate change had anything to do with walrus cliff-diving. Experts have documented many past instances of walrus haul-outs, including those where animals fall to their deaths. “Walruses have shown similar behavior on the U.S. coastline when space and ice were not an issue, and the reason is unknown,” Lori Polasek of the University of Alaska Fairbanks toldThe Atlantic. 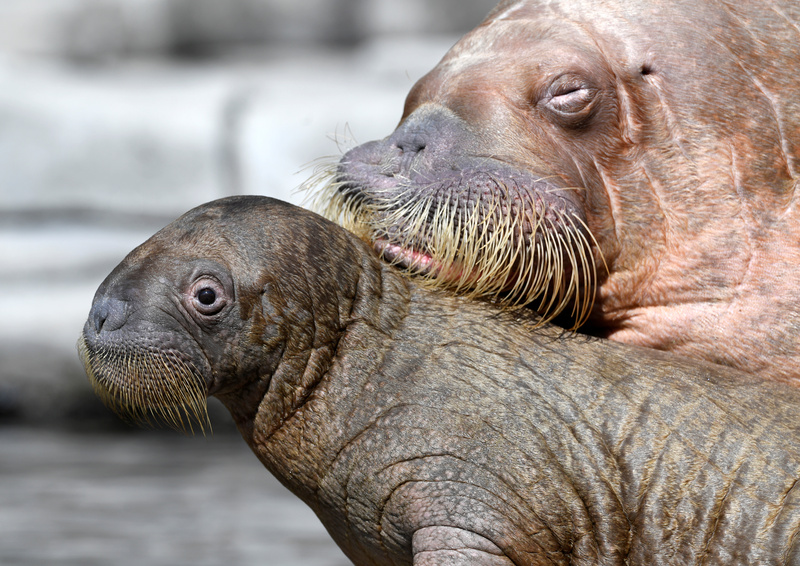 Walrus Dyna and her unnamed calf, born on June 17 in the Hagenbeck Zoo, are seen in their compound as they are presented to the public in Hamburg, Germany August 3, 2018. REUTERS/Fabian Bimmer. Experts recorded that dozens of male walruses fell from cliffs in southwest Alaska in 1996, and large walrus haul-outs, including ones with females and calves, have been recorded for decades. Experts with the U.S. Fish and Wildlife Service (FWS) reported in 2017 that “large mortality events from trampling have occurred at coastal haulouts as recently as 2007.” Younger, smaller walruses can get trampled in the crowds, especially when the herd gets spooked. Predators, like bears, or human interference — hunters, machinery or vehicle noise — can spook walruses and even cause them to fall off cliffs as was observed nearly two years ago at the Kozhevnikova Cape. Walruses are dependent on sea ice for some activities, like breeding and birthing, but are remarkably adaptive even in the face of shrinking sea ice coverage. Experts say walrus haul-outs have become larger and persist longer, but it’s not clear that’s completely due to a lack of sea ice. Other factors might be driving walruses to certain locations to haul-out onshore. However, “Our Planet” seems to have filmed the controversial walrus scene in the fall, when haul-outs have traditionally been observed. “In the 1950s-1970s, these haulouts typically persisted from September through October but more recently these haulouts have been occupied from August through December,” FWS noted in its 2017 report. 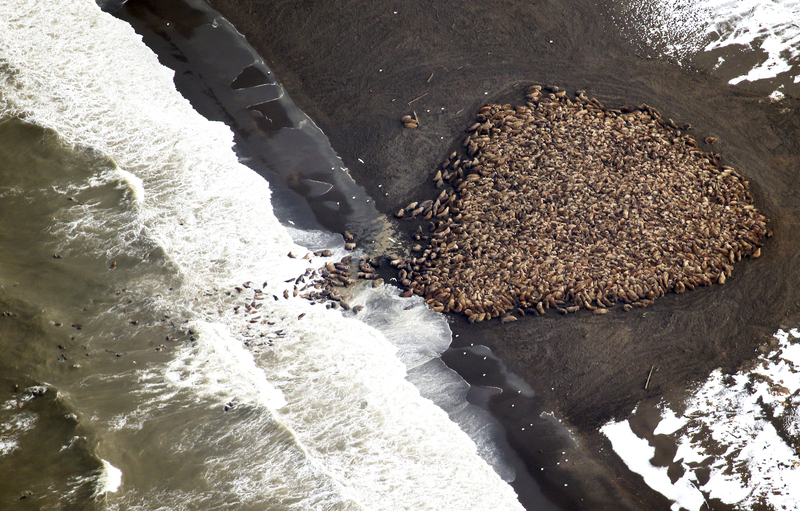 An estimated 35,000 walruses are pictured are pictured hauled out on a beach near the village of Point Lay, Alaska, 700 miles northwest of Anchorage, in this September 2014 handout photo. REUTERS/Corey Accardo/NOAA/NMFS/AFSC/NMML. Experts, however, questioned other claims made by “Our Planet” about walrus haul-outs, including the contention that walruses scaled cliffs to escape large crowds. The Alaska Department of Fish and Game’s Lori Quakenbush also noted that walruses don’t scale cliffs to avoid crowds, as the Netflix documentary asserts. Walruses end up on top of cliffs after walking up shallow slopes. “Walruses thrive on crowds and haul out in tight groups, even when space is available,” Quakenbush told The Atlantic. FWS declined to list walruses as “threatened” under the Endangered Species Act in 2017. “Currently, the population exhibits degrees of resiliency, representation, and redundancy that have likely facilitated population persistence through past climate warming and cooling and population bottlenecks over longer periods with no detectable loss of genetic diversity,” FWS found. “Indices of population status suggest the population is demographically and physiologically resilient to the current levels of sea ice loss,” FWS added.